Will the Dow Jones Bounce Back Today? Subject: Will the Dow Jones Bounce Back Today? Yesterday (Thursday), the Dow Jones Industrial Average suffered its steepest drop since July 31st, with tech stocks leading the plunge. The dive was fueled by a sharp downturn in shares of Apple Inc. (Nasdaq: AAPL), which fell for the second consecutive day. AAPL stock dropped 3.8%, falling below $100 per share. Concerns about software glitches in its iOS platform and structural problems in the iPhone 6 Plus are heavily weighing on the stock. American Surge: This morning the U.S. Commerce Department reported that the economy improved by 4.6% in the second quarter, revising its previous estimate. The report, which covers April, May, and June is a strong revision of the previous estimate, signaling economic recovery across the country. Apple Revival: Tech giant Apple Inc. released a new iOS update this morning in hopes to alleviate the software problems that caused a public relations nightmare for the firm this week. AAPL stock was up a little over 1% at market open. Time to Report: Shares of Canadian tech firm BlackBerry Ltd. (Nasdaq: BBRY) jumped more than 2% following its quarterly earnings announcement this morning. Wall Street analysts projected a loss of $0.16 per share, which calculates to sales of $949.6 million. The company reported adjusted earnings of $0.02 per share. On Wednesday, the company launched its first smartphone in more than two years, as it attempts to resurrect its image. 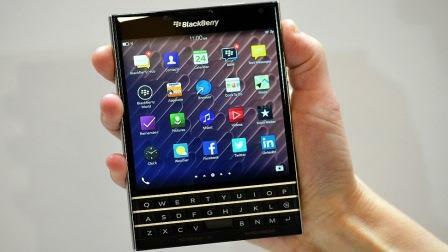 The new Passport smartphone is its latest push into tech relevance. The company maintains less than 1% of market share in the smartphone sector. Top Banana: Shares of Chiquita Brands International (NYSE: CQB) were flat this morning on merger news. A revised transaction agreement increased CQB shareholders' ownership of the merger with Irish banana producer Fyffes Plc. (OTCMKTS: FYFFF) from 50.7% to 59.6%. Fyffes is attempting to prevent its Brazilian rival Grupo Cutrale and Safra Group from purchasing the Chiquita brand.